Ever notice how some plants in your Florida garden perk up when the temperatures quiet down a bit from summer's intense heat? They are the plants that perform 'well enough' throughout the year to call them year-round bloomers. But when the night hours last longer coupled with slightly cooler temperatures those plants come alive with renewed vigor. 'Louis Philippe' requires no pruning or deadheading to re-bloom. 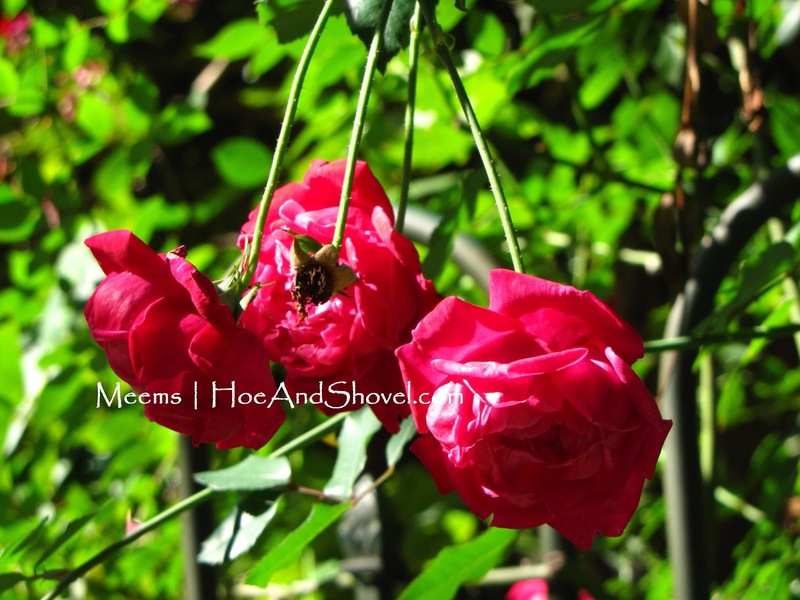 Although, like all plants, pruning spent flowers will encourage a faster rate of growth. They are cold hardy and evergreen in a Florida garden. Rosa 'Louis Philippe' fits this profile. Sure, there is growth and some flowering all year long. But, it is winter and spring when Louis burst with robust beauty and flushes with profuse blooms. What's the very best feature of this antique China rose with densely layered, deep pink petals that emit a delightfully sweet fragrance? 'Louis Philippe' loves Florida. It's a rose and it doesn't shy from our unpredictable heat, humidity or cold. 'Louis Philippe' makes a lush covering for a fence in my back garden. This is one 3 gallon plant ~ it is 3 years old. It is not pruned anymore because I can't reach its height of 10+ feet. 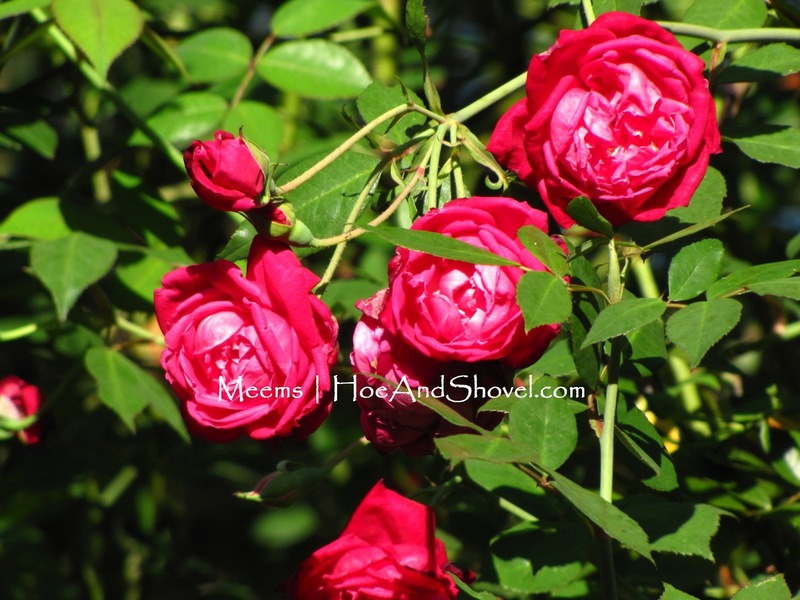 Have you ever tried to grow modern roses or hybrid tea roses in Florida? It's likely you've been extremely frustrated with disease, black spot and general decline after a year or possibly two of enjoyment from those bushes. 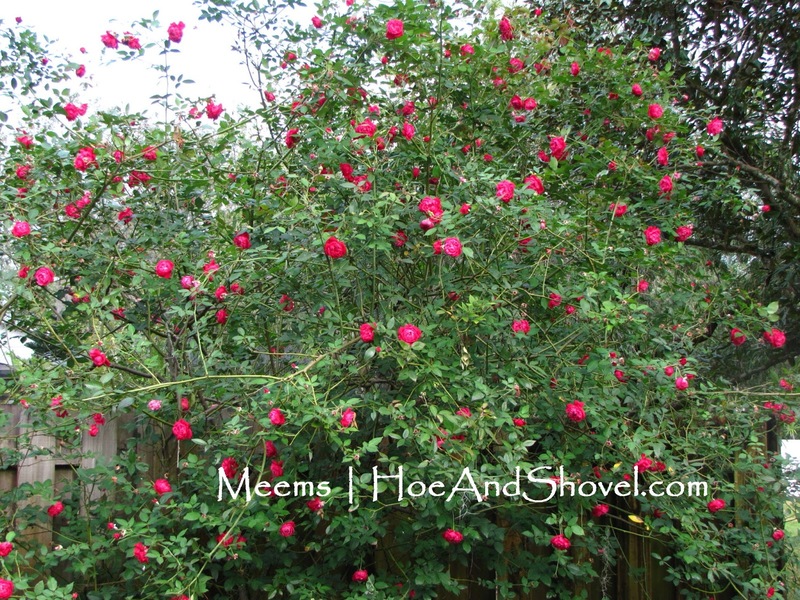 Frequent demand for sprays, fertilizers and pruning will make a gardener feel like it's a losing battle with this type of high-maintenance roses. Why not work with the conditions in our gardens rather than fight them? 'Louis Philippe' grows in full sun or partial sun. I have several plants in partial sun~ some get more sun in the winter when the deciduous trees around them lose their leaves. The plants in partial sun don't get as full as the ones growing in 4-5 hours of sunlight. The informal habits of old garden roses like 'Louise Philippe' will fit more naturally into a Florida garden. I'm not very diligent to fertilize like I once was. But when I do fertilize, I use organic matter such as blood meal, bone meal, compost or seabird guano. 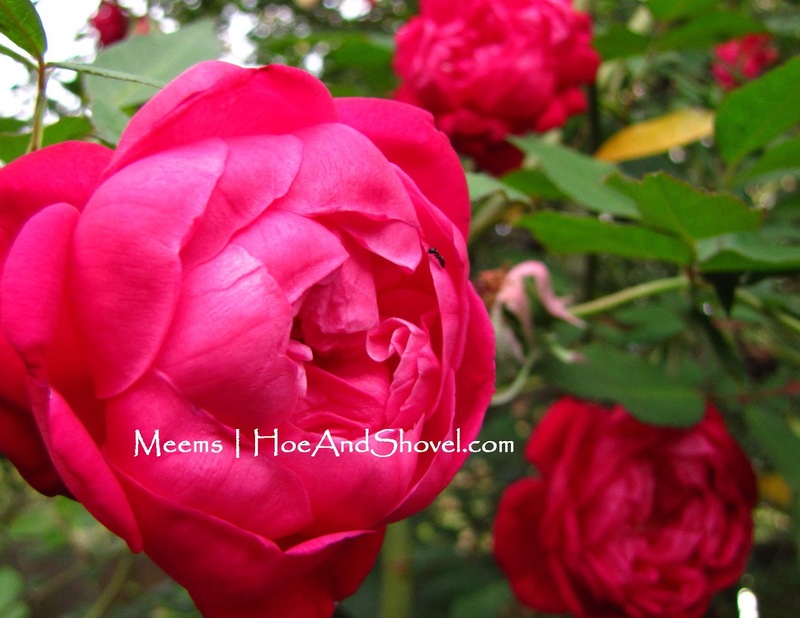 All my roses are pesticide and chemical free. Duncheon's Garden Center in Lank O' Lakes. I love my FL cracker rose, Louis Philippe. I need to get some cuttings rooted for more. It is so easy to grow and hardy, has a nice scent and wonderful color. What more could one ask for. I've put a popup on my calendar to head down to SRQ to get one of these--stunning on your fence! Your Louis Philippe is beautiful! It is really thriving. I love heirloom roses too. The Tallahassee Rose Society has an heirloom rose sale every February and I always go and buy a whole carload of plants. Louis definitely is in his glory these days and he is a must-have rose for Floridians. Wonderful form and colour for Louis Philippe, I can see why you like that one so much. Roses.. The most beautiful creation of nature and perfect Valentine Day Flowers... Lovely post.. Thank you for posting this. I have been on the fence about getting a rose. I also have not been able to find Louis Philippe in a garden center. This past weekend I added this rose to the garden thanks to your post. I love these roses. They are extremely easy to grow and smell delicious. Is there a place I can buy them online or should I try starting my own plants from cuttings. I've never done that before.